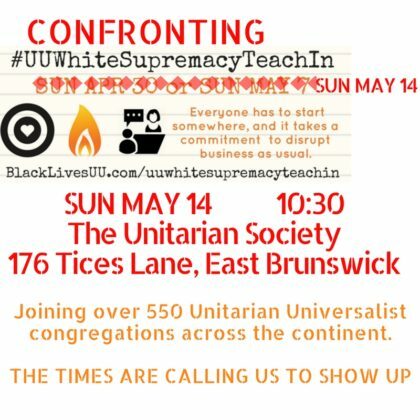 In response to the call for UU congregations to take part in the #WhiteSupremacyTeachIn, we’ll be exploring together what it means to center white-ness and what we all (whether as person of color or white person) can do about it. While we confront the racism in our midst, can we also acknowledge that it is the air we breathe, despite our best efforts otherwise? This isn’t a guilt trip or a shame train, though it may touch that part in you – but it need not stay there. Come ready to worship, come ready to engage.